From this tutorial you’ll learn how to enable comments pagination to display comments in a structured way. First, enter WordPress Administration panel (Dashboard). 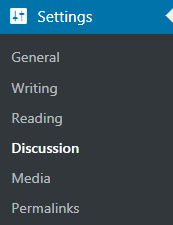 Navigate to Settings tab on the left of the Dashboard. Locate Discussion settings. Enable Break Comments into pages option. 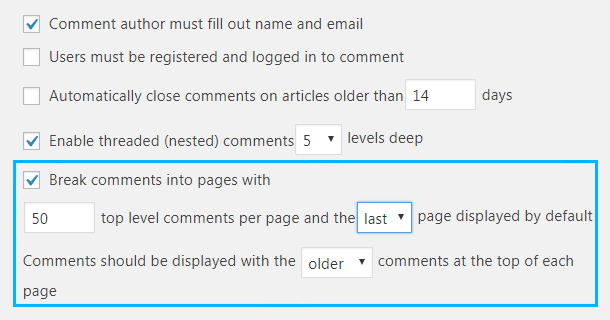 Here you can as well define the number of comments to show per page. You can also specify if you want to first page of comments to be displayed first, or it would rather be the last page. Save the changes. You will see a numeric pagination or Next/Previous links (it depends on your current theme style).